Or maybe it didn’t happen like that. Maybe you were in labor and your baby’s heart rate wouldn’t stop dropping. 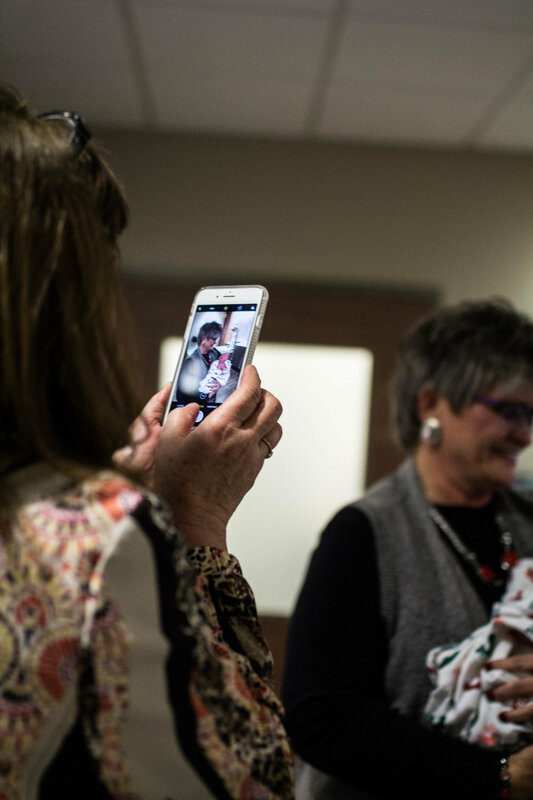 There’s a plethora of reasons for babies to be born in the OR, and this month birth photographers and birth workers all across the nation are shedding light on cesarean awareness to bring knowledge and empowerment for those who have had or will have a C-section. The fact of the matter is, while C-sections remain statistically more “dangerous,” they should never be referred to as a moment of failure or as a topic of shame. More than that, birth via belly incision (often referred to as “belly birth”) is something that women should feel empowered in when they’ve made the informed choice to undergo it. The beautiful thing here is that as each April passes, more and more awareness on the matter is occurring and practitioners across the globe are working towards performing more gentle belly births. Ten years ago, women receiving C-sections would see their baby for maybe a split second before he or she is whisked away to the warming table. So much has changed. 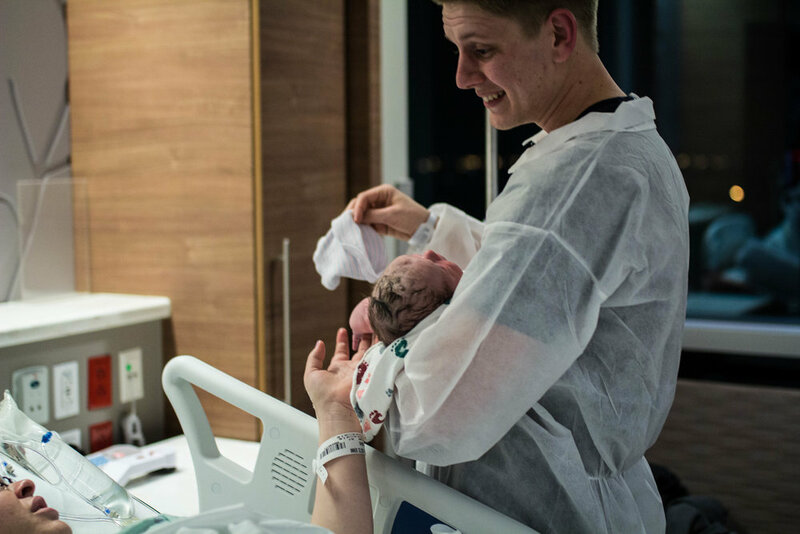 While not every woman has to choose these options, there are certain choices that make the process much more connected and peaceful, such as a clear drape so that Mom can see baby being born, or allowing the baby to push its way out of the incision, and even bringing baby directly to Mom’s chest. In some hospitals, doctors have allowed Mom to reach down and bring baby to her own chest as in a vaginal delivery. THAT’S incredible. Unfortunately, medical procedures are often necessary to save Mom or baby, or to keep everyone safe and healthy. And by all means, safety and health are always priority. I want to honor every Mom who has undergone a C-section that was traumatic. My heart feels for you. I want to honor every Mom who has had to be put under while their baby is born. I hope you’re heart finds comfort and healing. Birth is supposed to be a moment of bliss, strength, overcoming, but I understand that for one reason or another, it is most certainly not always the case. In any case, you should know that if you do have a C-section planned for your birth or end up having one, I am trained in OR etiquette and have experience photographing a beautiful belly birth. Below are the images from a birth where the sweetest, chunkiest bub decided to be born from his Momma’s belly. 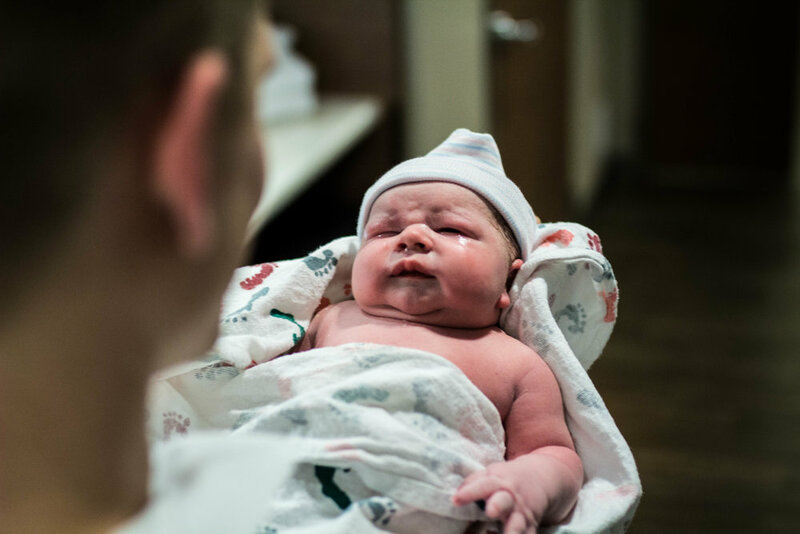 For this birth, I was able to document everything from family in the waiting room, to Mom and Dad being prepped, to baby looking into his Daddy’s eyes for the first time and SO much more. Take a look and try not to cry!